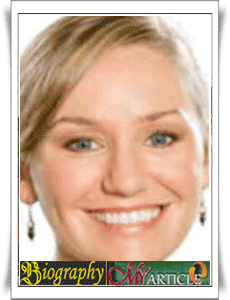 Larissa Joy Waters was born on 8 February 1977 in Winnipeg, Manitoba, Canada. This is an Australian woman in the Australian Senate Green for Queensland region. Aside from being the senate, he also became a spokesman in Green Australia. Waters also responsible for the portfolio of the Federal party, namely environment, natural resources population, biodiversity, coral reefs, sea grass, cape York, tourism, mining and the world's wealth. women who grew up in Brisbane this, now based in Bardon with her husband and children. Bachelor Bachelor of Science and Bachelor of Laws from the University Griffifth receipt. Besides, he also graduated in the diploma program on Legal Practice in New South Wales College of Law. He worked as a Legal Researcher in Queensland and Resources Tribunal in 2000 and 2001. Being a lawyer at Freehills (2001-2002) and became a lawyer in the Environmental Defenders Office from 2002 to 2011. Waters began his political career in 2006 as the organizer of the Queensland Greens North Brisbrane Branch. In the 2007 elections failed to become Senate queensland Waters Green, but in 2010 he won in the 2010 elections with an increase of 5.4 percent points.